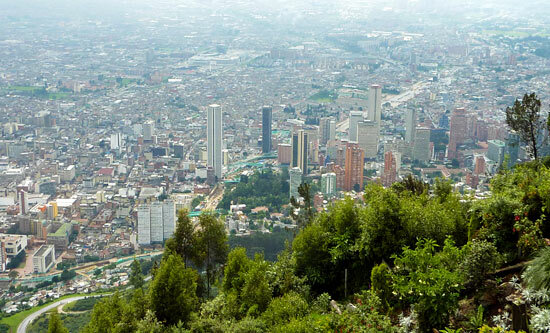 "Bogota: 2,600m closer to the stars" runs one of the Colombian capital's tourist slogans. Residents of many of Colombia's other cities would probably tell you that 2,600m closer to the rainclouds is more accurate, as they like to knock it for its cool, wet climate. But don't be put off. Whilst it is true that the capital can be a tad damp at times, "la capital de la republica" is an enormous city full of history, culture and excitement. Guide to hotels in Bogota Colombia, from the cheapest hostels to the most luxurious boutique hotels. Info about the capital's soccer teams Millonarios, Santa Fe and La Equidad, as well as bullfighting, "Tejo", and cycling. A guide to the best places for shopping including information on the city's numerous shopping malls. A guide to the city's exciting nightlife. Advice on the best bars and clubs in the Colombian capital. Information on festivals, concerts and other forms of entertainment in the Colombian capital. Guide to transportation in the capital. Information about the city's airports, Transmilenio service, buses and taxis. Bogota Colombia has cleaned itself up and now boasts a well-organised transport system called the Transmilenio, modern shopping malls as well as a myriad of trendy bars and nightclubs. Combine this with the history-filled streets of Bogota's colonial centre La Candelaria and the many museums, art galleries, theatres, churches and you have a city that simply cannot be missed. 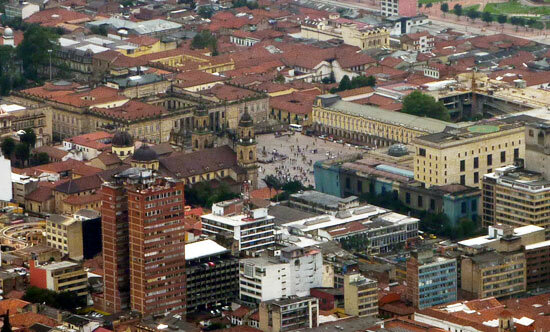 La Candelaria is Bogota's colonial centre. 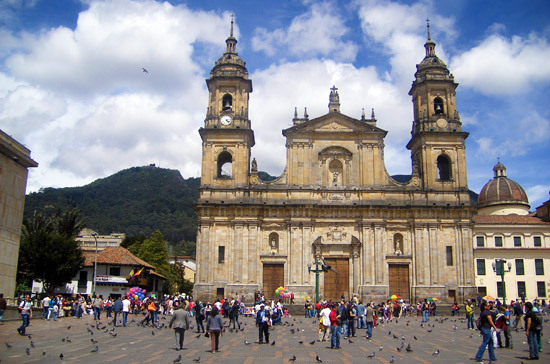 It was in La Candelaria that the Colombian capital was founded at Plazoleta del Chorro de Quevedo in 1538. Colombia's most important government buildings can be found in this sector, the majority located in the area around Plaza Bolivar including the Presidential Palace (La Casa de Nariño) and the Justice Palace (famously invaded by guerrilla group M19 in 1985 and subsequently stormed by the army). Around Plaza Bolivar can also be found the mayor's headquarters (Edificio Lievano), the Congress building (Capitolio Nacional - and on the eastern side Primada Cathedral, behind which the mountains rise up to the landmark church of Monserrate (see below). There are many museums, theatres and other specific places of interest to visit in this area of the city (some of which are mentioned below), but a good idea is simply to wander the streets for a few hours to soak up the atmosphere and see what you come across. The area is home to many universities, including the famous Universidad de los Andes and Universidad Externado, which means that the streets are full of students during the day and there are plenty of cheap places to eat, drink and surf the net. Monserrate is one of Bogota's most famous landmarks and it's hard to miss from most parts of the city. The white church is situated at the top of the mountain, at an altitude of well over 3000m, and from here you have stunning views over the majority of the city. 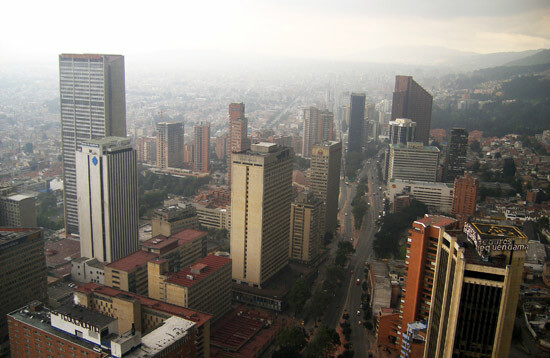 Many visitors to Bogota never venture into the south of the city and, unless arriving by plane, don't really get a feel for the true size of the city. From atop Monserrate, however, the extent of the capital is evident. The city can be seen stretching way out to the poor slum area of Ciudad Bolivar on the edge of the city many kilometres away. It is worth doing either the ascent or descent (or both) by foot. Besides working off the previous night's beers the walk up gives a bit more perspective of the city (especially the centre) and provides some good photo opportunities of the skyline; something which is lost to some extent at the top, as the city appears more as a sprawl of concrete. Bear in mind that by the time you reach the top you'll be at over 3100m so take your time making your way up there! Another way to get above the hustle and bustle of the downtown is to head up to the observation deck of the capital's tallest building, Edificio Colpatria. It is situated on Carrera 7 (one of the city's main north-south arteries) at the intersection with Calle 24, near the Parque de la Independencia. From the top you have access to 360º panoramic views around the city. There is also a small cafe with a big map on the wall to work out what you're looking at. 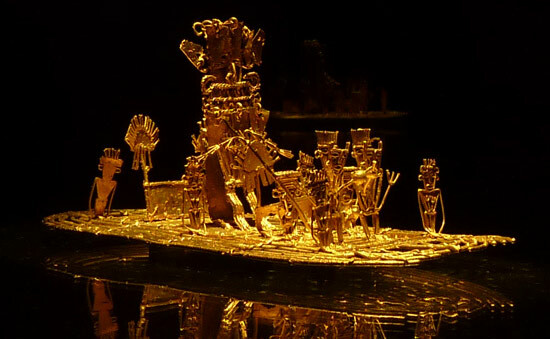 Bogota's 'Gold Museum' is possibly the most important gold museum in the world and houses a huge number of gold objects created by Colombia's pre-Hispanic cultures. It can be found on the Plaza de Santander in the city centre close to La Candelaria. If you only have the time or inclination to visit one museum in Bogota Colombia, it's probably a good idea to make it the Museo Del Oro. Fernando Botero (who hails from Medellin) is known for his unique style of painting bloated versions of, among other things, horses, fruit and the Mona Lisa. So if a chubby-looking apple floats your boat, this gallery, containing a large collection of his paintings and sculptures is worth a visit. There are also works from various international artists including Picasso. The Donacion Botero is located a couple of blocks up from Plaza Bolivar at the intersection of Calle 11 and Carrera 4. The picturesque neighbourhood of Usaquen is located in the north of Bogota on the lower slopes of the mountains above Carrera 7 between avenidas 116 and 127. It is a peaceful district, full of expensive houses and has a pleasant leafy plaza surrounded by fashionable restaurants and bars. Usaquen is a great place to go to in the evenings if you're looking for somewhere a bit quieter than La Zona Rosa or Parque 93. Around the plaza you'll also find a number of shops selling art and nic nacs. On Sundays in the central park storytellers ('cuenteros') entertain small crowds with their various tales. Maloka is a large interactive science and technology centre featuring a variety of displays. It is situated towards the north-east of the city, relatively near to Parque Simon Bolivar. In a city of 8 million inhabitants Simon Bolivar Park provides an excellent escape from city life. 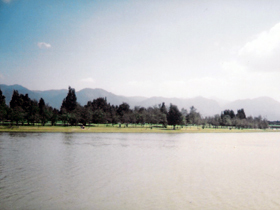 Located towards the north-west of Bogota the park contains a large lake and lots of trees and green space ideal for kicking a ball about, lobbing a frisbee, walking, jogging, taking a nap or any other park activities you can think of. Just a couple of hours to the south of Bogota Colombia are Los Llanos (The Plains), a huge flat low-lying area home to a wide variety of species of animals. 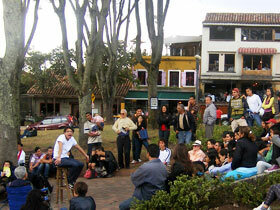 A few hours to the west of Bogota is the city of Ibague, the Music Capital of Colombia.